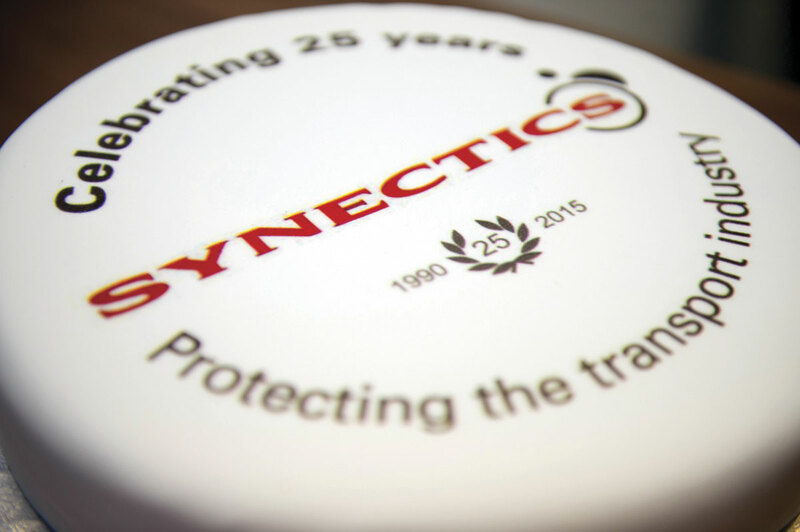 Transport CCTV specialist, Synectics Mobile Systems, had cause for celebration recently as it marked its 25th anniversary with a special event attended by past and present staff at its mobile CCTV division headquarters in Preston. Its original founders, husband and wife team John and Christine Haworth were present, as were the current management team. Chris Peat was honoured to be invited to the event and took the opportunity to talk to the transport division of the Synectics Group about its origins and where it is going. Glasses were raised in toast and speeches were made during the day, with a buffet laid on for the enjoyment of all who attended. 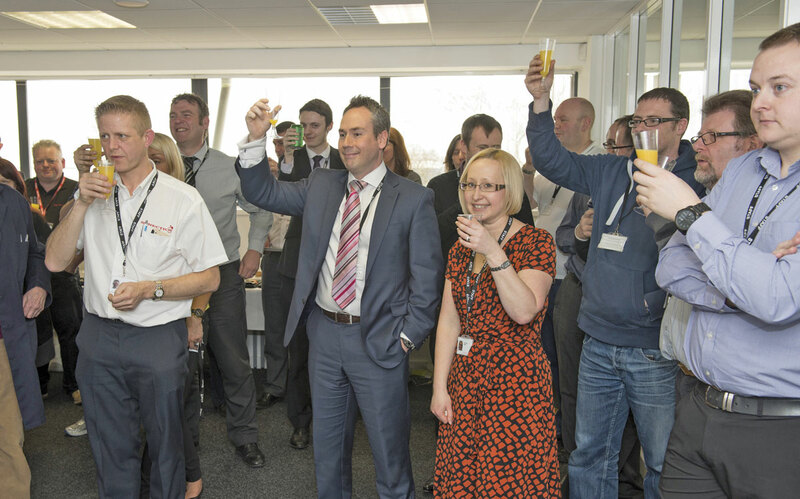 All staff at the Preston site were invited to join in with the celebrations. As well as the party, there was also a display detailing Synectic’s history which had been especially commissioned to mark the anniversary. It charted the foundation in 1990 of the company, initially named Lancashire Optical Observation Kameras Ltd, which was later changed to LOOK CCTV. The former Director said that in the beginning it was a case of supplying camera surveillance systems for a range of applications, including buildings and car parks to name a few. Although this initial order was only for a handful of buses, it was the start of a long term association with the bus and coach market. Blackpool Transport continued using them for CCTV for its new buses. It was in these early days that John started working with a salesman from Northern Counties and ‘then things started to roll’. ‘In terms of what we supplied, an awful lot of it was determined by customer input. Give them whatever they wanted, nothing was impossible,’ said John. A big development was when orders from London started to come in. John said his business ‘exploded’ into the capital when Ken Livingstone promised CCTV on every bus in the city within five years. The business grew dramatically and by the start of the new millennium, some of the biggest names in the industry were among LOOK’s customers. 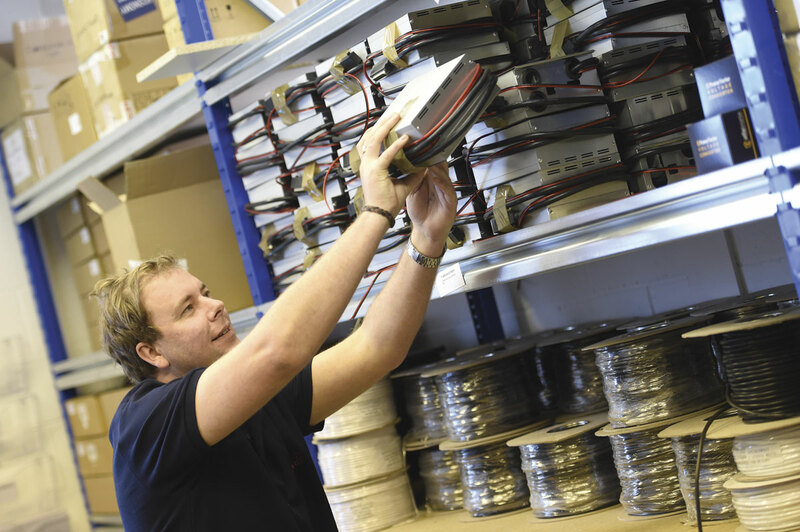 Originally, John was installing VCR units, with digital cameras still a long way off when the business started. As is the case with all technology, not just CCTV, it is a very fast paced world, so new developments were not uncommon. However, ‘the big one’, according to John, was the shift to digital recordings. This provided a ‘sounder, more reliable’ option for operators. John said he was sometimes surprised at the enthusiasm for new technology in the industry. He recounted mentioning the option of supplying an, at the time, new mini-camera to a potential customer, expecting it not to sell so well due to its relatively high cost. However, to his astonishment, the client snapped it up. They actually proved more popular than he originally thought. He mentioned Synectics’ four ‘stages’: consult, design, install and support. The company works in all of these areas, acting as a ‘consultant’ with clients through the whole process of having CCTV rolled out. This has been something it has done throughout its history, according to John. It has worked on bespoke solutions since the beginning, having for example been asked to do such things as put cameras in bus stop signs. Developments in the actual products supplied are ongoing. One of its more recent is the introduction of its digital video recorder (DVR) for mobile surveillance applications: T1600. It was developed in-house by Synectics R&D and benefits the company’s extensive experience in the bus and coach industry, as well as its expertise in surveillance in other sectors. 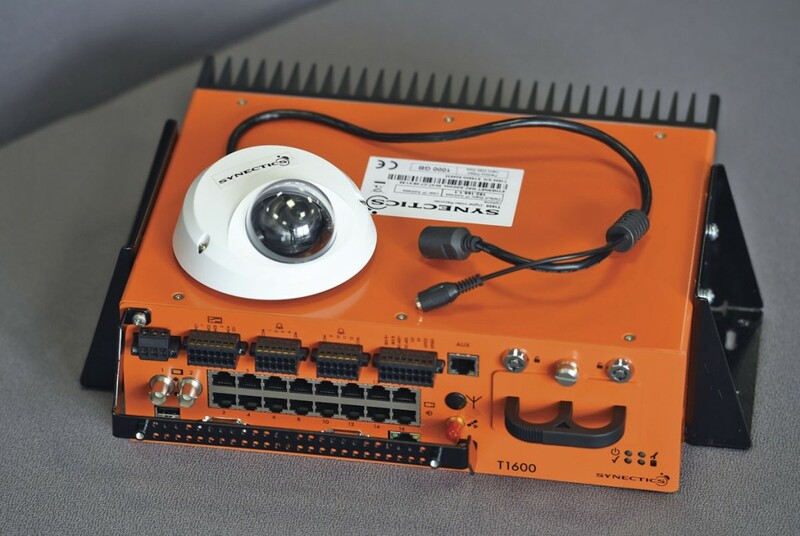 It is housed in a compact orange box that integrates all connections, wireless communications, inputs and outputs in one piece of hardware. It features optional solid state back-up, ensuring crucial evidence is captured even in high shock and vibration incidents, where mechanical hard drives would go into ‘self protection’ mode. The T1600 comes with 1TB storage on a single disk as standard with an option to extend to 2TB. The Synectics File System (SFS) ensures a higher data throughput whilst reducing disk wear and energy use. Higher quality image capture is made possible by differential video, which eliminates interference without the use of special cable, as well as hybrid IP recording that allows optional HD capture for front road cameras or other specific areas of interest. The latter is something more and more customers are showing interest in, according to Iain. When it comes to CCTV technology, integration is something that is expected, said Paul Webb, Chief Executive, Synectics plc, who also attended the 25th anniversary celebration. The potential for greater integration is something that customers increasingly wish to explore. 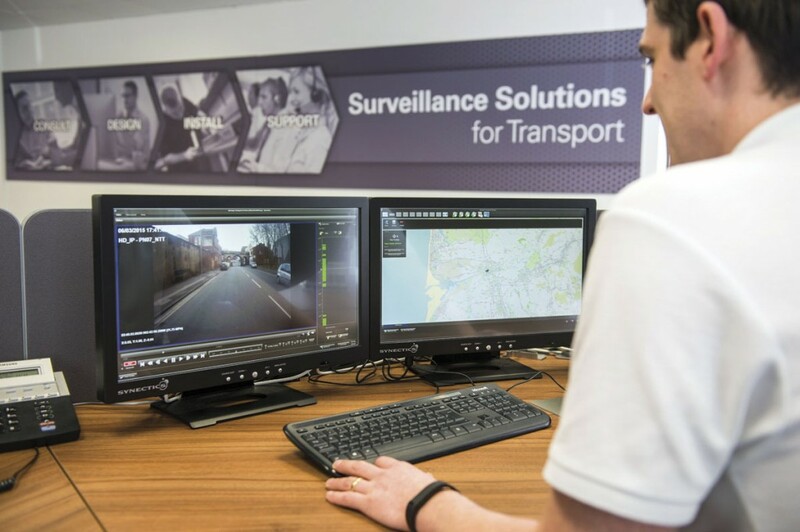 From simple integrations such as brake, speed and indicator overlays on CCTV footage, through to the more complex ones such as connecting telematics data with CCTV are common examples of this. Open protocols and platforms being included in the company’s products enable this. 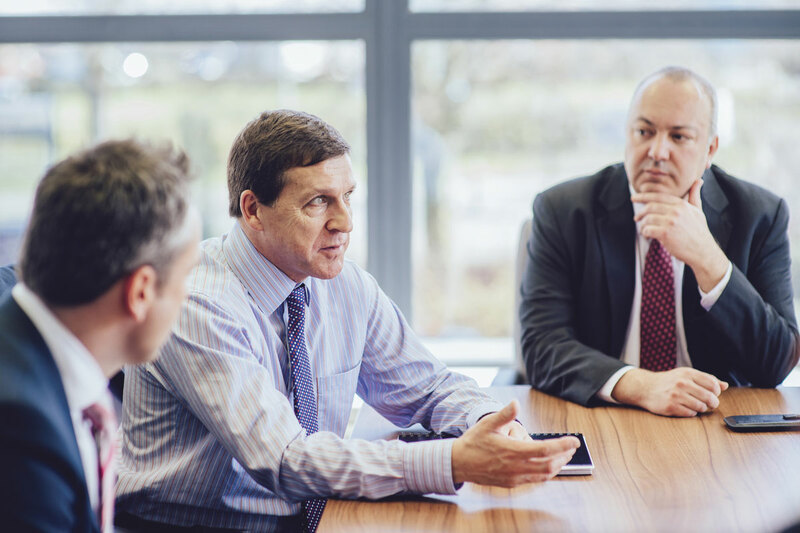 Paul said the further roll out of such integration in the bus and coach industry tends to be slower than it is elsewhere in the world of surveillance, but Synectics is well placed to help customers as demand for more integrated solutions grows. Synectics took over LOOK CCTV in 2004. The company, or Quadnetics Group as it was then known, kept on the LOOK name until 2010, at which point the shift in branding came. The name makes it easier for the parent company to internationalise the transport products, selling them under the same familiar name as its range of other solutions. Synectics Mobile Systems is now building on the core principle that inspired the name. Synectics by intelligently combining disparate technologies in creative ways to provide total solutions that are greater than the sum of their parts. Paul said that LOOK was acquired at the same time as Synectics added a number of other organisations to its portfolio. When it took over the firm, it kept the same board and management team with changes coming when it began investing in technology for the LOOK CCTV brand. This saw the T-Series range enter the market, of which the T1600 is the latest. 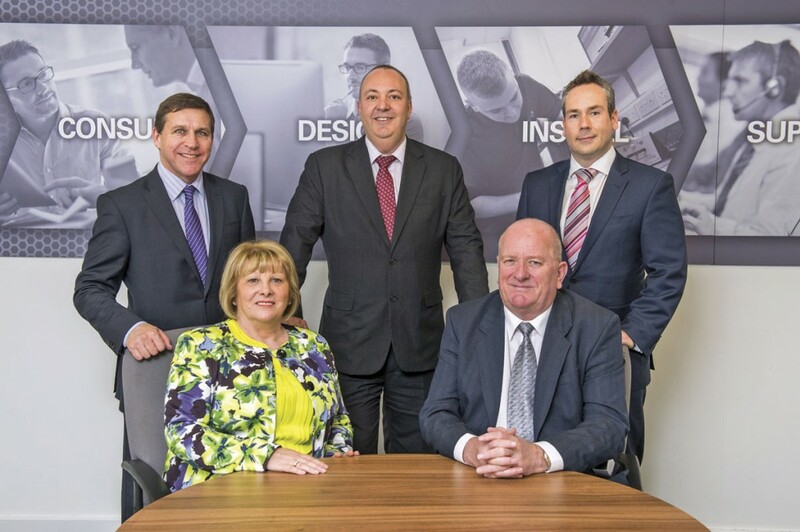 The parent company’s Sheffield R&D facility is of great help to the Preston based arm in terms of ensuring its products are as up to date as possible. The specialist UK transport division, on the other hand, provides a direct link with customers, ensuring the parent company is fully informed of what the PCV market seeks. One of the products Synectics has launched since acquiring the business is the Genius telematics system. This collects vehicle and driver data, including excessive vehicle movement, acceleration and braking. Utilising an integrated GPRS module, this data is relayed and analysed by Synectics and used to create reports showing driver, vehicle and route performance. It features a cab mounted LED indicator for instant feedback on driving. It also has a CCTV health checker, which automatically checks all CCTV systems are fully operational during vehicle start-up. Jeff joined the organisation as MD in 2012 from a background in Royal Mail. 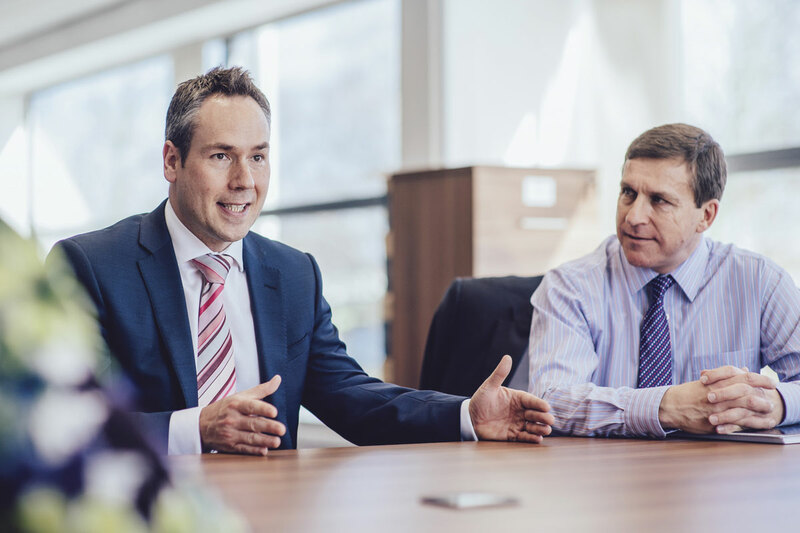 When he started, one of his main tasks was to use his experience in previous roles to further professionalise the business and help the company gear up for future growth. 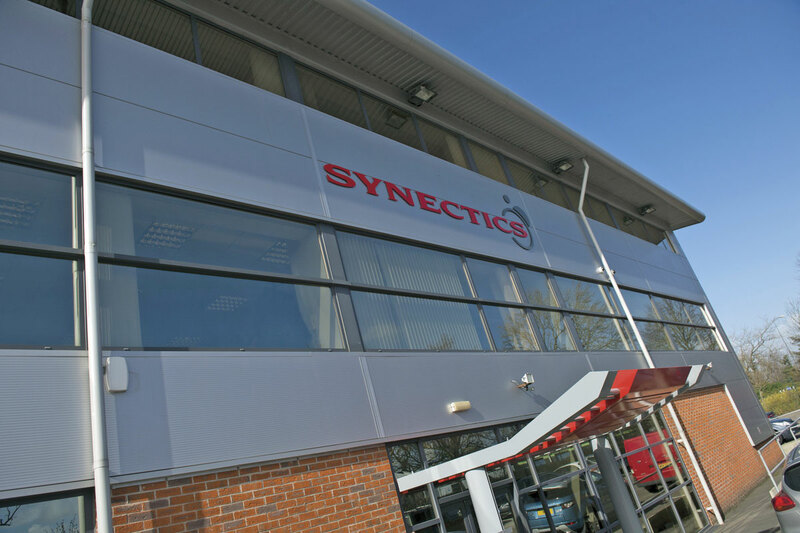 Also in preparation of further expected growth following a year of new contracts, Synectics has moved into new offices. The whole team, including R&D, sales, marketing and project management, now occupies three floors at the new location in Millennium City Park, with a floor area of 883metres square. Growth has definitely come since Synectics acquired LOOK CCTV. Go-Ahead has teamed up with the business to enhance surveillance systems and integration across its UK bus operations. The contract includes the installation, maintenance and support of CCTV systems on the operator’s fleet of 4,600 buses. A fundamental element of this new strategic partnership will be the development of an integrated software solution, the surveillance specialist’s Synergy security management system. This solution integrates the company’s on-vehicle CCTV with other critical business systems. This is intended to help to reduce costs, improve efficiency and make surveillance footage easier to access and utilise. Synectics has signed two new deals with Cardiff Bus to supply CCTV systems for 30 new vehicles it acquired in 2013, as well as service and maintain surveillance systems across the existing 220 strong fleet. It is not just in the UK where Synectics has achieved some success. It has also relatively recently equipped 51 Wrightbus double deckers with onboard CCTV and recording systems, following a major order from Hong Kong operator New World First Bus Services Limited (NWFB)/Citybus Limited (CTB). Synectics’ client list now includes Metroline, London United, Dublin Bus, Abellio in London, ADL, Wrightbus and many others. Synectics supports over 20,000 CCTV systems and over 3,000 telematics systems. More than 6,000 units of its T-series DVRs are in operation today. Growth has come from not just the bus and coach sector, but also blue light and light rail operations. These include the Northern Line, Jubilee Line and DLR in London, as well as the Nexus Metro in Newcastle. Jeff stresses that the intention is to remain a PCV specialist, saying the core of the business is bus and coach. ‘It’s 90% of what we do,’ he said. However, whilst positioning the business for further growth, Jeff said it is important for the company to look after its core market. He said the business will maintain the values and ethos it has had since its foundation. 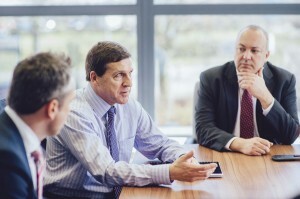 Jeff said that when he was appointed MD, one of the first things he did was to talk to John to understand what is at the heart of the company’s success.